Here we will post the session report and will be available for discussion and questions. This thread is open to all participants of this FREE Healing Service.Please feel free to ask, comment and share your experiences here! Very nice session. It started out with most of the group feeling unsure & disconnected... but 15 or 20 minutes in, we all met in a nice soft place. I wanted to stay in that environment & keep the resonance going... & so I shall continue to keep that resonance alive as I move through my daily life. Thank you everyone for participating in this session. It is a challenging subject to be sure… and as a group we all had many of the same resistances and inner struggles finding our trust to let go of the things blocking us from BELIEVING in our True Selves. The first 30 minutes of the session we were dealing with the nuts and bolts of these blocks, and most of us were trying to label things outside of us. Looking for reasons and sources outside of self that were keeping us from connecting within. There was a bit of a battle on this front as we were trying to force the mind to find the solution. A lot of emotions around inner child pain, victimhood and self-pity seemed to come up, which seemed to be linked to total exhaustion and just plain being tired of the fight. Getting to the heart and letting go of everything we “think we need to do and be” is what made the second half of the session so connected and beautiful. Just surrendering and breaking through the old resistances to pain and fear brought in some peace and relief. It is one of those deep peace feelings you want to remember and bring into your heart when feeling doubt, it is a great tool we own now and we can bring it back anytime. Please feel free to ask questions and share your experiences here in the forum. Since many of us needed some grounding, it is a great idea to go for a walk outdoors or just spend some time in nature. The session energies will keep working where needed so be vigilant of any emotional or physical symptoms and drink plenty of water and rest more if needed. The session report will be posted soon and will go into more detail on what was experienced during our session. Much love and thanks for your trust from all of us in the Prayer Group. Dear Jona, Roger, Ronene, Scott, MaryAnne and all Prayer group! Thank you so much for this wonderful opportunity to experience the prayer group from the participant side. I have wanted to do this for a while and this session ended up being the perfect choice. I was actually pretty uncomfortable and "squirrelly" for about the first half verified by the flash report (thank you Ronene...) I could not settle in. I felt a good heart connection through out just unsettled. I finally asked "what is it??" and it came out that I felt uncomfortable receiving as opposed to giving (which reflects in other areas of my life... especially financially...) and unworthy of the healing. Wow! My ego loved latching onto the specialness and self pity until I said "enough." I kept saying the word BELIEVE... I sensed a little tantrum but claimed my space and then I seemed to let go. I felt a beautiful warmth towards the end and a little 3rd eye pressure... maybe some dreams tonight. Thank you all so much. Overall I had a pleasant session. There were a couple of times (okay..four) where my C.I.V. had me take a fork in the road, so to speak, and I caught myself within moments and did the I AM Breathing to get recentered to my Heart. "Little Bryan" eventually came forward and expressed to me some deep rooted, forgotten events that encouraged insecurity within "him" back then. Though really "minor" in nature, they seemed "major" to him. I assured him it was okay to feel that way because he just plain didn't know any better back then. I shared with him we didn't have to cling onto any of that anymore and it was okay to let go. Then images came up of instances/situations where I was "taught" not to fully trust in my abilities and talents that were emerging then. I felt like I was able to reclaim that trust in myself. Throughout these realizations I felt tingling throughout my body, off and on. Towards the end I felt considerably lighter. With much gratitude I Thank all of you for your dedication and assistance for this forum/modality! Very emotional session for me deep release from my Heart Centre and Emotional Body very intense, not going to lie cried like a baby was repeating just let it all go really focusing on my heart my inner child was healing, it's true I am sick of fighting, on an emotional level have battled my all life. Thank you for helping me do some serious deep releasing. Just what the doctor ordered. Ocean deep feelings coming to the surface is a good description for me on a personal level. Maybe others can relate to this insight thanks again. thank you for sharing this! This is really cool that you discovered this part of you that is struggling with giving and receiving. I noticed this myself a while back when I signed myself up for the session! And in that respect it's probably a good practice for all of us (being a member of the Remote Prayer Group or not) to learn how to ask for support when needed. 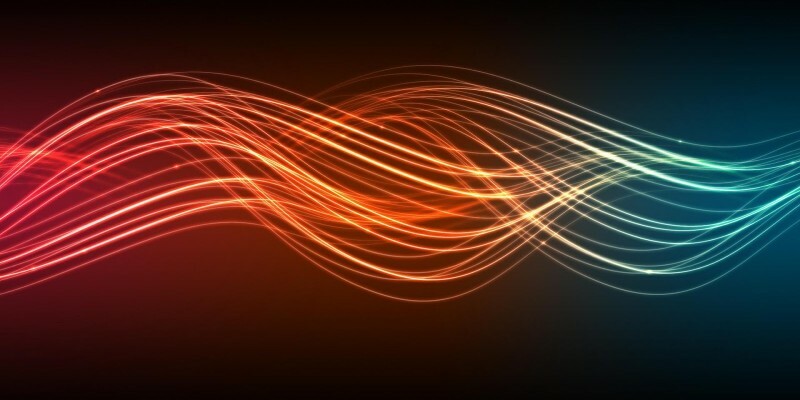 Your energy system seems very clear about 'what doesn't work anymore' - so just keep paying attention to those inner signals and make sure you integrate them immediately so your inner guidance feels 'motivated' to stay connected through times when you have to act on compromises. thank you for coming and for sharing! I am not surprised you had an emotional session. Cool you could allow this! There is no shame in allowing our inner pain to come forward and to be released - and the fact that you could tie this to Inner Child aspects is really good. Now, as for the healing process you need to begin to communicate with this part of you - like as if you are dealing with a child...listen to it, nurture it and ask it what it needs, so that you can slowly unwind these energetic pain memories and heal the parts that can pull you back into this state. There was lots of deep TRUST aspects (from 0-2 years old) that needed to come out. Here a picture that can show how certain events at certain times can become responsible for really deep Inner Child Aspects. Also, if you have the time read up on some of the INNER CHILD and KARMA section in the Blog - it may help you to contextualize a bit. The main healing resonance that came in for you was to find 'purpose' in your personal learning experiences of the past. Even the saddest and most traumatizing experiences can make sense in the big picture. Believing in Self is very much linked to 'knowing oneself'. We all have unhealed Inner Child aspects. But those of us who have the courage to work with their inner children (often more age groups than just one) can learn how to not be dominated by our past pain anymore. 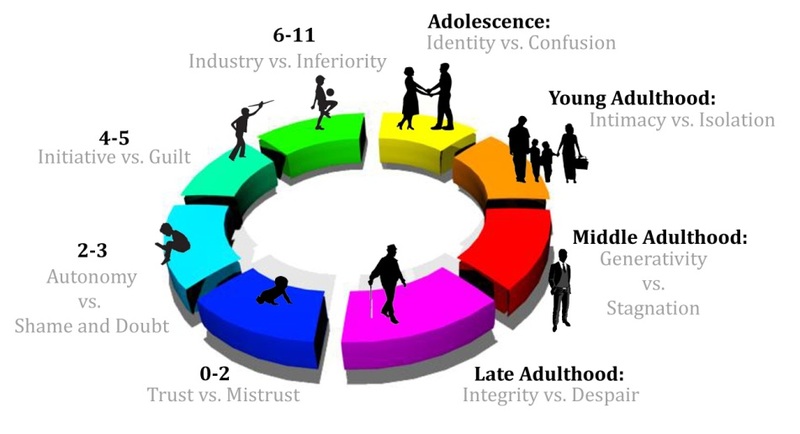 Very interesting with the graph and the age range Trust vs Untrust it makes sense to me, because of my age and the time and the mistrust had a serious backlash on me, and never realised but subconsciously had a effect on me and came rushing back to me in adulthood and knocked me hard as apart of the healing process trauma hit me instantaneously. I know myself but it the unknown in my childhood make me feel like something's missing, that is what is healing for me slowly but surely. Connecting with my inner child asking that part of me what is needed will be good for me just need to embrace myself beforehand because it's been hitting me quite hard on a emotional level. Realising your can't rush these type of things is good! Patience is a virtue literally. Thank you for the insight Jona very much appreciated. Very Cool! Thank you Richard! Thank you so much for sharing! This is significant for this entire session. Trust and the ability to trust is one of the core aspects in our life. If the development of our ability to trust is disrupted somehow, it will affect all areas to a degree typically not aware to us. It often shows in difficulties to maintain intimate relationships, self-worth and the unfolding of our life’s purpose altogether. If we never learned how to properly trust in a higher power, others or ourselves, many of our life’s challenges remain a mystery to us. The pathway to healing trust issues will lead us to the deepest and most fundamental aspects of our personality and soul-integrity. When dealing with Trust or other Inner Child aspects we need to first understand how they formed. 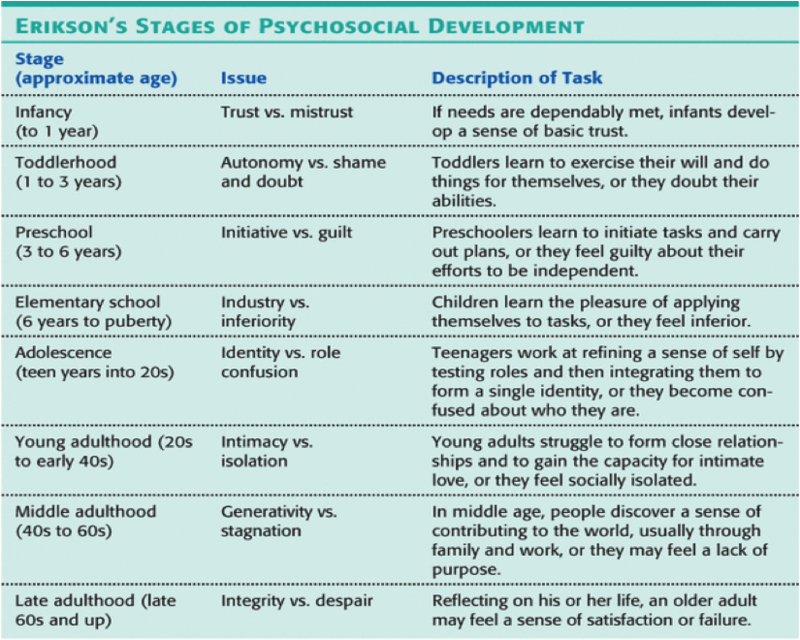 According to Erikson’s model trust develops in the early stage of infancy. If we could identify deeper aspects related to trust for example, we now know that there must have been an uncompleted or disrupted inner development in our infancy. This of course applies to any other deeper aspect that we already identified. Looking again at the chart on the previous page it becomes clearer why trust issues are so deeply ingrained in our energy system. Trust is formed in our very first stage of infancy, which is also the reason for strong emotional releases when tapping into this energy. At the age between 0-1 years old our communication is non-verbal and reduced to basic emotional expressions, such as crying, anger tantrums, laughing, screaming, etc. This doesn’t mean that our parents are the culprits; it just means that this stage of our development was somehow disturbed or didn’t sufficiently unfold, which is often part of our karmic inheritance. Here, it can be of great benefit to understand the connection between unresolved trust aspects and karmic family issues, especially if we have children! This link can be an important key for understanding some of your child’s behaviors and can be a great tool for engaging into the healing process TOGETHER. Like others have mentioned I felt lots of resistance to getting into my heart and quieting into the process. I used the I AM breathing which was helpful but I was in and out of focus through the whole session. I am still feeling overwhelmed with the physical, mental emotional aspects of my situation and having a lot of difficulty finding and keeping my center. It is a blessing that this was scheduled to happen right after my injury and I know it will help me heal on all levels but I am still feeling far from clarity and resolution. I would love any observations which might help me tune in better moving forward. This is where it gets really interesting Jona with the lineage in both sides of my family none of us apart from my father's adultery as they been any grandchildren apart from my oldest half brother. My father only has one grandchild and he is a bigamist at extortionate levels and its amazes me how he has only one grandchild for what I know. Find this really interesting. None of us on both sides of my family with my mother and father have children none of my cousins have kids my father has one grandchild which is outside of the marriage to my mother. That is very add to me could this be a intervention feel like something is going on there very much so! What your insight on that Jona be very interested to hear how you feel about this. From my perspective most of this resistance came through 'mental beliefs' - not so much about the nature of the session as more to our personal situation. 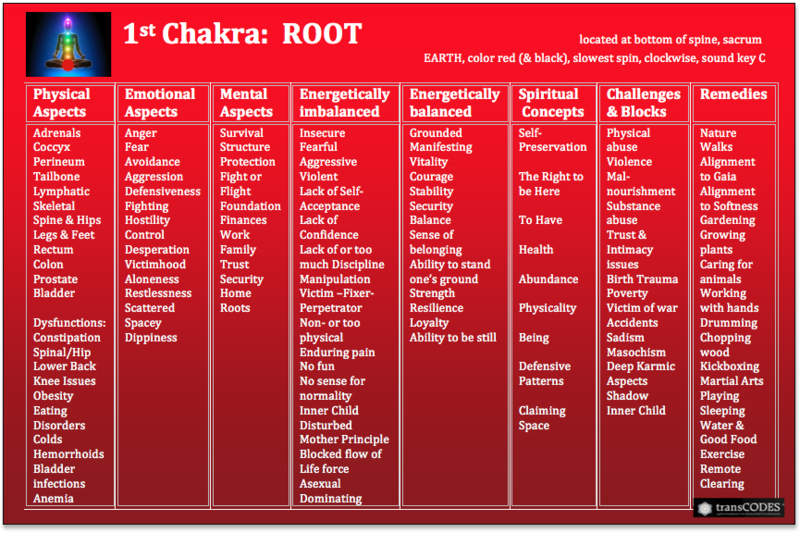 The main energetic resistance and healing seems to be needed in your 3rd Chakra area. This came across as your ego at first, but I noticed that it was actually contracted, which usually indicates that a person is having difficulties to 'claim their space'. It felt like there is a part in you that is in really strong need of attention - but not from the outside but rather from yourself. As for the overall process in this session, this was linked with SELF-EXPRESSION and an undervalued SELF-IMAGE. Maybe my words make sense for you - the healing in your case was more on the deeper level... I wonder if you had any dreams that could bring in more clarity? Take note of inner signals while you are incapacitated, Deb! There is something your energy system wants to tell you - listen to it! Much Love and speedy recovery for you. I was just meditating and was much more connected today. I am coming back into my body and in some way that I didn't realize I wasn't, if that makes sense. My ribcage is fine by the way other than it being the physical manifestation around my heart which is undergoing some healing and expansion. In reflecting on your comment on incongruence, the first thing that pops up is how I have been allowing everything else in my life to take up my time/energy and squeeze out space for inner attention and connection, which has been going on since I started the new job in the spring. I kept telling myself things would balance out soon but it did not feel good to get so far away from that part of my path. Oddly enough my hands/wrists are what is injured - one fractured, one sprained and they are the thing I am most recognized for at work (being gifted at soft tissue work) and this is definitely a large aspect of my self worth/self image. So it begs the question for me why does that need to be interrupted? Who am I other than that? And yes I am very focused on the adventure of seeing how quickly I can manifest a physical healing. Today I focused on flushing my arms with love/light/energy and listened to how they responded. My left hand in particular was related to some grief and heart pain. And I am feeding myself lots of smoothies with fruits and greens, sun bathing to make lots of vitamin D, and I think I'll make some gelatin soon to load myself up on collagen. Anyway, things are feeling like they are starting to get unjammed and flow today. Thank you so much for what you shared and gave me to contemplate. With all this love and connection you are giving yourself right now the physical healing should go fast - but remember that it's not your hands that make you who you are! Thank you for this session, that not only seemed to be challenging at the beginning for myself. After I read the invocation it was not at all easy for me to get into the state of "no thought ". I had many struggles with lots of mind chatter going on. At the same time I felt the energies very strong downloading into my system, accompanied by some pains here and there. Several hours before the session started I felt on my heart chakra grey/black energies, like a stuck shadow hovering there. This feeling was not pleasant at all. Despite all this going on, I tried to stay in my safe heart place, but for being honest it was really hard effort this time. There were some moments in that I felt the space inside going really wide and I tried to stay there as good as possible. But as already said at the beginning, it remained challenging through this mind chatter. into the heart took me away to dreamland where I stayed until the music stopped. Of course and as always I am curios what showed up I'm my field. This can create an inner schism, in which you energy keeps looping between the pain of the past and fear of the future (stay tuned, I just wrote an article about this, which will come out today). There it's not surprising that you feel uneasy. The process to get out of this has to do with centering of course (IAM Breathing for example) but for you in particular also with grounding (1st Chakra). And since much of this session was about finding the balance between emotional integration of past (Inner Child) stuff and not letting this dominate the way we see ourselves and what we belief of ourselves, it's important that you also recenter your self-perception - Who you truly are - and not who you are in other people's eyes! So, yeah it's possible that you mother in law's presence brought some of your past aspects back up, however, it doesn't really matter what/who triggers our inner attachment to the past. The main thing is to understand that this is what's going on when we doubt ourselves, and to brush it off and reconnect with our heart, so that we can feel ourselves again. Energetic releases are a big part of the purpose of energy sessions. During and after sessions a lot of energetic restructuring and clearing happens at the same time, hence the reason why our mind simply gives up. Therefore, know that’s it’s not always possible to rationally investigate our emotional or energetic sensations for that matter. Accept that! Breaking through you ego’s limitations also means to break through your need to control your inner healing processes! If you want to understand your energy system a little better and if you want to change, realize that you have to trust in your inner higher ability to heal yourself. Simply surrender to your energies and allow yourself to go through whatever wants to come forward. Often it’s not the emotion itself, but your judgment of yourself that creates the inner pain and suffering! Stay open, not beat yourself up, and keep observing rather than judging! If you can stay in our heart and trust in your intention to grow and expand, you will realize the healing purpose in allowing your emotions to come forward. Try to breathe through those times and learn from it!" Allow all that (the mental clearing) to happen and focus on happiness! This is the strongest healing resonance that came in for you - so, this is what these downloads are linked to. I came into the session a little tense, so was surprised at how quickly the session unfolded. For the first few minutes my mind was doing its usual chatter (how things were to be resolved at work, the shopping that needed to be done etc, the usual needless distractions). I then dragged my mind back to focus on my heart and my breath. It wasn't long before I felt the tears moving from something within me, to my physical body and felt the tears rolling down my cheek. I tried to just observe but got frustrated with myself saying "Why do you always have to cry, can you not just enjoy something?" The tears stopped for a while then fell again silently. When I cried a third time I began sobbing but when I checked my feelings, I was not aware of any sad feelings. I could sense the tears were a release but of what I don't know. Through the tears, possibly in my minds eye I saw violet, purple and blue lights forming beautiful patterns which looked like they were dancing. Looking at this gave me some kind of comfort. I felt tension around my heart and all of a sudden I felt very warm, like a protective arm or presence was around me. After some time the tears stopped and I felt at Peace. I was sitting down so I just relaxed and enjoyed the rest of the session. Afterwards I felt a little drained but at the same time relieved. sorry it took me so long to reply! Thank you very much for sharing! This is something many people can relate to - especially in this session, since we had a lot of emotional release happening during the transMISSION. There is much I would like to say about how tears are a good thing, and how they allow our energy system to get relief from stored inner pain... release is the first stage of healing. However, the important part with allowing these inner releases to happen, which you did (and which is very cool!, Valerie) is that we can't just stay there...he need to use this 'momentum' that is created through feeling this moment of liberation from the weight of our pain and do something with it! In this case, our intention was to rediscover our inner Self - the higher part of ourselves, so that we could re-learn to belief in ourselves as more than just our flaws or things we cannot love about ourselves. What we cannot love about ourselves is what destroys our self-belief. It keeps telling us that we are not 'who we want to be/could be/ought to be", often using our Critical Inner Voice as mouthpiece. The problem with that, from an energetic point of view, is not only that this locks us in to a painful cycle of self-defeat, it also energizes and perpetuates a distorted view of ourselves! Yes, there is pain involved, but as you allow the tears to flow you are allowing all that to leave you and to shift to a higher state in which you becomes able to feel the love and joy of what you holding. The problem is not the tears, Valerie, in fact they show you how close you are to your heart; the problem is your judgment thereof. There is nothing wrong about crying - especially when it's in a context with truly feeling into your heart! Do you know, that when I first started this work with GRACE Integrity (one of our main self-healing transMISSIONS) I cried to two weeks straight (and I am not exaggerating - with sobbing and crying out loud) without being able to stop it! I had no idea how much stored pain I had - and I didn't want to know! I consciously didn't try to 'figure it out' and just allowed it to happen. This was probably one of the most transformative experiences I had - I couldn't believe what was going through my mind during this time! An entire army of self-beat-up-processes showed me how much I had fostered my inner pain for so many years. Much later I realized that this warmth and this safe feeling (that you reported as well) is the love I started to feel for myself - something I was never taught how to do.In fact a big part of me thought that I needed all kinds of other things to safe; mostly gratification through outer things, like money, status or the person I was with - not realizing that these were all things that I had put above my inner and outer connection to people, which made me feel more and more isolated. It took me a while to understand that a big part of my resistance to letting go of my ego ways was that I had to be/or do things in a certain way to be lovable, had to do with a conditioned false perception of myself. Somehow, very early in my life, my ego picked up that I wasn't good enough as I was, and so I spent decades trying to be someone else, giving up on myself..
Today I know that this is all just programmed stuff - clouds around our hearts - that can be removed, if we are willing to look beyond what our ego minds try to feed us with and to face the fears that are holding us back from standing by our True Selves. And because I know it's possible, and I know the kind of joy and love that can be rediscovered this way, I try to assist others in liberating themselves from these layers of ego, that do nothing but creating more pain. The pain we all feel is the pain of not feeling connected and supported. Instead of trying to find this love and connection we do all sorts of other things to help us cope with this pain - which is what separates us even more! In order to change the pain we need to be willing to let go of it - and so our tears become the first and most important step to allowing our pain to leave us! What I saw in your personal field during this session is woven in to the story above. And like for so many others of us, the Inner Child aspect that came forward is strongly linked to the way you understand and see mother-energies (your own, but mostly programmed through your mother or mother figures when you were a child). Feeling not supported was very strong in you. I recommend working with FEMININE ENERGIES - perhaps through spending more time in/with nature. Maybe growing herbs, taking care of a pet or simply walking in nature. 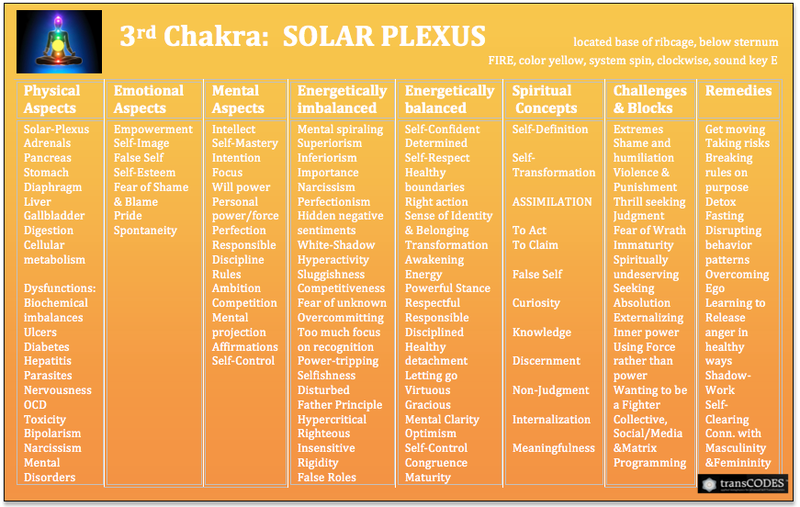 I'm adding the Chart for 1st Chakra energies which can show you in the 'remedy' section which activities can help to align and heal these programs in us. Thank you so much for sharing your heart-felt experiences!!! !